Blimey, there are a lot of Final Fantasy games, aren’t there? 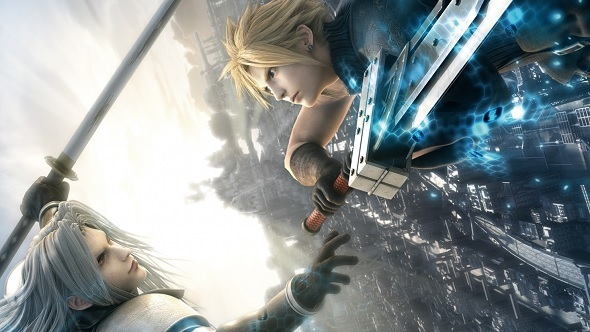 But what are the best Final Fantasy games on PC? From main entries, to sequels, to spin-offs – delving into the series for the first time can be a daunting task. To help you out, we have compiled a list of the real gems in the series, with all the gravity-defying hair and outfits made from belts that you could wish for. Here’s everything you need to know about the PC version of Final Fantasy XV. The first Final Fantasy to tackle a grander storyline than the usual ‘save the crystals and save the world’ affair. It reverts the setup Square Enix had popularised by the time it came out in the early ‘90s in favour of telling an ambitious (and often bonkers) story with proper character arcs. The result is a JRPG with a fantastic narrative that propels the journey each of the cast embark upon. Even the party formation is determined by the events of the story rather than being dictated by you. This is also the first Final Fantasy to use the Active Time Battle system, an iconic design that Square Enix used until the release of Final Fantasy X. All those factors combined, it is fair to say that Final Fantasy IV is the first truly ‘epic’ Final Fantasy, and an essential play to boot. Hands down the most well-known Final Fantasy, and possibly the strangest one to date, Final Fantasy VII remains a game that is heavily discussed. Final Fantasy VII’s narrative is brave even by modern videogame standards, with a plot defined by tragedy that is often interspersed with bizarre story scenarios and minigames. Its polygonal graphics may not have aged well but they do add to the endearing charm of the game – especially when coupled with the game’s amusingly bad translation. Do not be deterred, however, as each of VII’s individual parts – from its fantastic battle system and unconventional cast, to its incredible score – help demonstrate why it is beloved to so many. Looking back, the idea of creating a follow-up to a game like Final Fantasy VII seems like an insurmountable task. In response to that challenge, Square Enix ripped up the rulebook, creating a sprawling sci-fi world with barely a crystal in sight for Final Fantasy VIII. While the game’s Draw mechanic – a system that lets you steal magic from enemies in order to cast spells and boost stats – was divisive, Final Fantasy VIII’s wonderfully-told story is utterly charming. 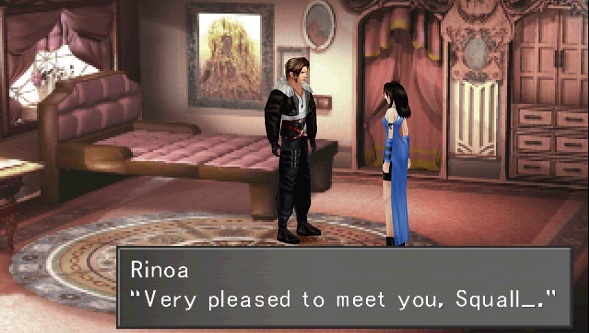 Against a backdrop of giant robots and never-ending war, Final Fantasy VIII takes you on a delightful coming-of-age story with the child soldiers of SeeD – most notably protagonist Squall and resistance fighter Rinoa – whose relationship remains one of the most elegantly told love stories in games. 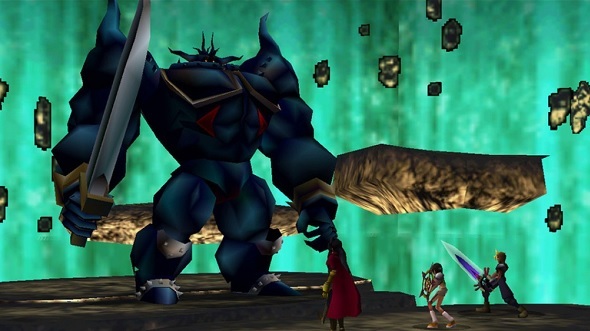 Square Enix’s ode to Shakespeare and Greek tragedies, Final Fantasy IX’s aesthetic is rooted in the sublime nature of theatre – from its opening scenes of the performance conducted by the Tantalus crew, right down to the character designs themselves. A startling contrast to its two predecessors, IX boasts a beautiful steampunk world realised with impeccable detail. This extends to the game’s dialogue, which has the main characters talk in stirring monologues while the rest of the cast speak in poetry. At first glance, the plot, in which the characters set out to save a world gripped by war, can seem a little toofamiliar. However, it is the compassionate tone of the game, and the questions it asks about humanity and where we belong, that proves its most mesmerising facet. In true Final Fantasy fashion, where misfortune looms and humour always follows, Final Fantasy IX excels at comedic setpieces, too. Also, sorry to all VIII fans, but Tetra Master is a better minigame than Triple Triad. One of the most polarising games in the series, Final Fantasy X overhauls a lot of the conventions established in previous titles. 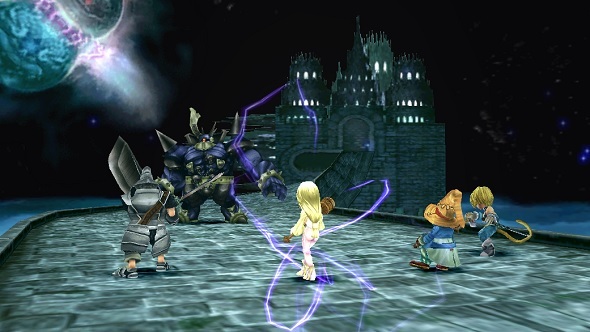 Pre-rendered backdrops are replaced with fully 3D environments; main characters are voiced by actors; and the ATB combat style is replaced by a fully turn-based system that lets you swap party members mid-battle. This innovation resulted in critical acclaim upon release, however, with many reviews acknowledging the revolutionary nature of the game – even if it isn’t always perfect. Nevertheless, Tidus and Yuna’s arduous pilgrimage across Spira to defeat Sin was moulded by the emotional vulnerability of its protagonists and supporting cast, crafting a timeless story in the process. Blitzball, however, is, and always will be absolutely infuriating. As a bonus, Final Fantasy X also comes packaged with its sequel, Final Fantasy X-2. An oddball entry into the series, X-2 sees Yuna refusing to take a day off, instead donning a pair of hotpants as she travels across Spira in order to prevent it from being blown up by a colossal ancient weapon. Given the chance, Final Fantasy X-2 is more fun than it has any right to be, with the game’s ‘garment grid’ – an ATB-based battle system that lets the party change job classes on the fly by changing outfits – being a particular highlight. 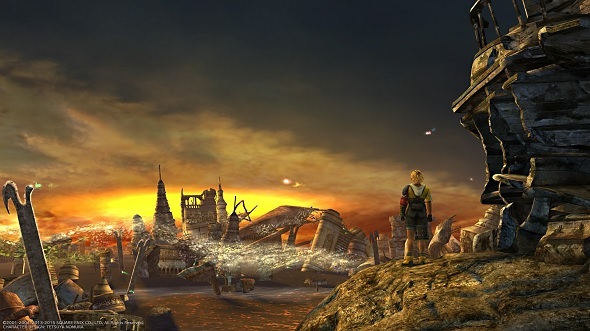 War has been the backdrop for many Final Fantasy games but it is never as prevalent as it is in Final Fantasy XII. By the time you have met the protagonists of the story, you are already acutely aware of how war has shaped each of them, from death to dishonour, and even a lost throne. Set in Ivalice, also the home of the Final Fantasy Tactics series, XII brings the politics of the world to the forefront of its plot, with the ruling Empire being the group you are looking to overthrow. 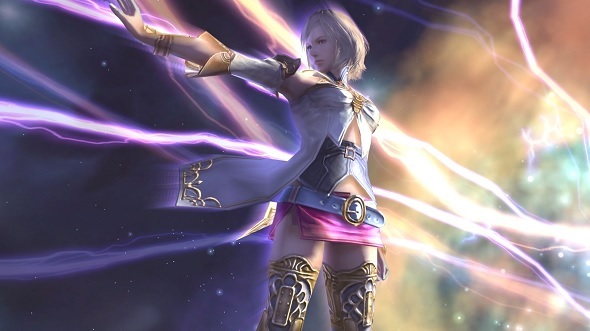 Final Fantasy XII is renowned for its huge revamp of the battle system. It is comprised of actions, called gambits, that essentially turn your party into programmable AI. While on paper it sounds tedious and boring, in practice it is incredibly satisfying to create bespoke lists of commands and then watch them play out in battle. Just don’t believe Ondore’s lies. There has not been a zero-to-hero story as epic as Final Fantasy XIV’s since the tale of Hercules himself. It overcame a disastrous release to resurge in its second iteration, A Realm Reborn, in the process becoming the MMO behemoth we know today. 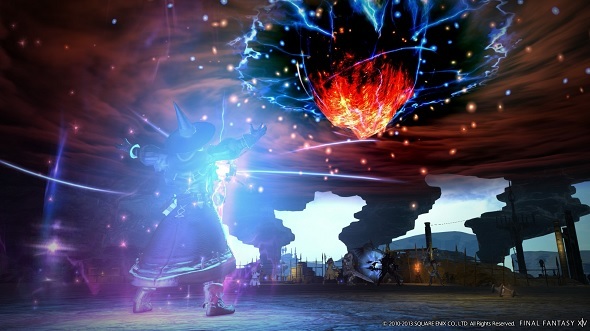 The ultimate playground for any fans of the series, XIV is a more single-player orientated experience than other MMOs like World of Warcraft, allowing you to become the standout hero of its robust and lengthy story. With two enormous expansions, Heavensward and Stormblood, there is a plethora of job classes and vocations to master, with plenty of options for those who do not want to engage in the game’s intense endgame raids and instead find comfort in mastering skills like cooking or weaving. If you let it, Final Fantasy XIV and the world of Eorzea will swallow up all the free time you have, and you will probably be happier for it. While admittedly not a mainline entry into the series, the most recent Final Fantasy release on this list is still deserving of inclusion for the enjoyment it provides alone. World of Final Fantasy is, to put it simply, tooth-achingly sweet – the game is brimming with cute and colourful designs, all topped off with a healthy portion of nostalgia. 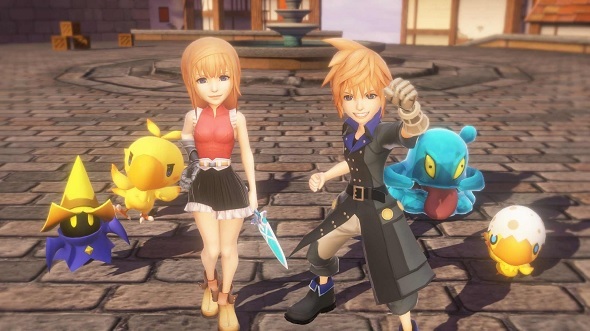 You play as Lann and Reynn, two siblings travelling across the world of Grymoire in order to regain their memories. Along the way, they also meet adorable chibi versions of characters from previous Final Fantasy games. The game’s rather simplistic story takes a backseat to the pure fun of the gameplay itself. 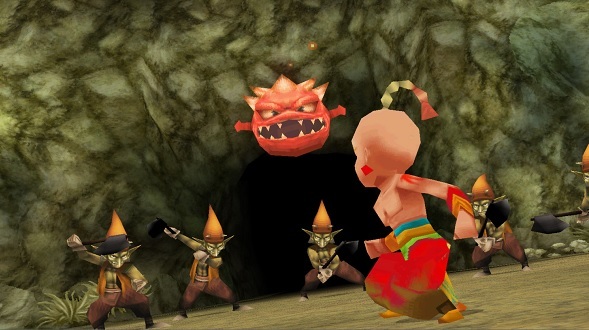 Part old-school Final Fantasy, part Pokemon, the game utilises the ATB system but with a twist: throughout the game, you capture ‘mirages’ – monsters from Final Fantasy lore – to battle alongside you in a stacked totem formation. If cute is your thing then World of Final Fantasy is definitely for you. Reading this list, you may notice the glaring omission of Final Fantasy VI, which is often regarded as one of the best in the series. 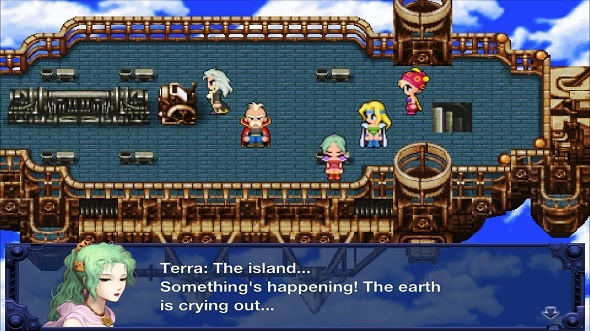 When Square Enix ported VI over to the PC in 2015, they chose to directly port the mobile version, bringing along with it a host of problems, including poor resolution options, an unpleasant UI, and updated sprites that look heinous compared to the SNES original. Yeah, not good. Ugly aesthetic aside, Final Fantasy VI is a marvel in game design. It has you juggle a party of 14 characters that you upgrade, an unconventional ability system, and a melodramatic plot that contains as much comedy as it does tragedy. It also boasts the most depraved Final Fantasy villain in the form of Kefka, a court mage turned god due to a series of experiments gone awry. You have been warned. This feature was originally published on Feburary 23, 2018. You can read more about Final Fantasy here.